In deep freak-out mode a.k.a. craft-fair-prep! I can’t remember if I ever posted a picture of this (and sorry it’s so low quality…it’s really gloomy here today and none of my photos were turning out) but I designed this Cricus Elephant Cookie scarf for Renegade a few months ago, and I’ll be bringing him to Crafty Bastards on Saturday, too!!! Only two of them! Please come visit my booth, DC!! I’ll be at Crafty Bastards for Saturday only! The tickets are at a lower price if you buy them in advance. It’s $5 per day, $8 for both days, and free for kids. If you use this special code when you purchase tickets online, VENDOR14, you can get both days for $6! What a steal! 17 Responses to In deep freak-out mode a.k.a. craft-fair-prep! 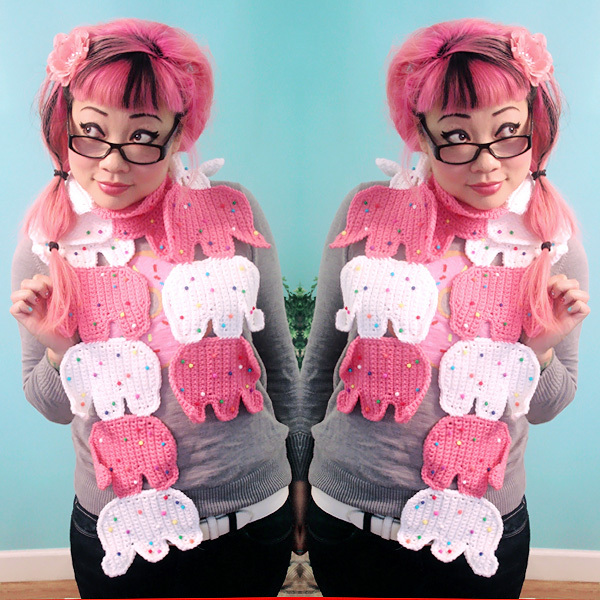 I’m loving your Circus Elephant Cookie Scarf, it’s sooo cute. 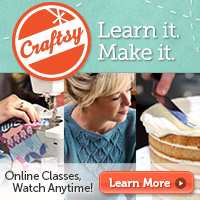 Ah good luck, I always wished I lived in America just to get to go along to your epic craft fairs! I hope you have a successful craft fair. I love the swirled ice cream cone. Will that pattern be available? That little bag!! Oh my god! I wish that there were craft fairs here where I live! Sooo cute. I love the scarf and bag. You always design the most adorable things. I wish we had animal cookies here in Australia. I bet they are delicious. Awwww we’ll have to send you some!!! Although, they are not the same as they used to be….. the company went bankrupt, I think, for a little bit? And then came back, but with a different recipe! Love the scarf!!! And the ice cream cone is amazing!!! Will the pattern for the ice cream cone be available? greetings from the Netherlands!! Ahhhhhhh!! I love the ice cream purse. I’d definitely make that! It’s on my list of patterns to prep and post! 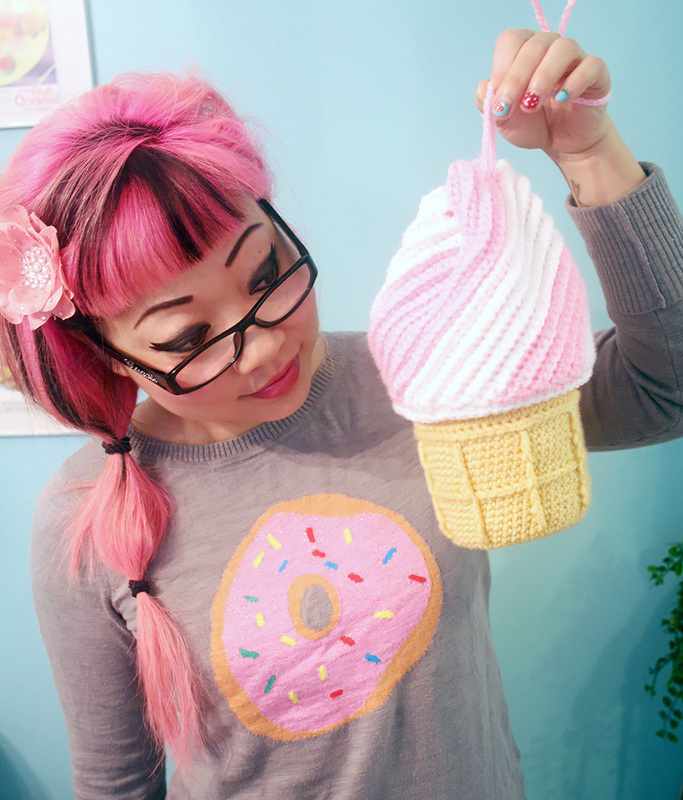 The Ice Cream Purse is so sweet. Do you perhaps written the pattern? Or is it possible to get or to buy the pattern? My Kids will love the bag. I need to prep that pattern. There aren’t any how-to photos of it until I have a chance to crochet one myself. Sorry about that! 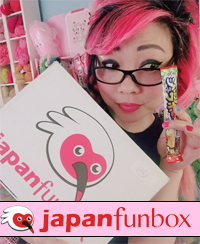 Have you done the pattern for the awesome ice cream bag?